In February last year , as I was coming to the end of my redundancy period. Deciding the direction my career was going to take. I came across a tweet from a developer I’d followed while watching WordPress TV talks. That developer was Mark Wilkinson of, remote development agency, Highrise Digital. An agency run by Mark and Keith Devon specialising in WordPress development. Highrise’s offer, to join a mentorship program helping WordPress developers grow and raise their ability to their next level. My reasons for joining the mentorship were I’d been building brochure style WordPress for over four years. In that last year, I’d grown to build advanced membership sites. That acted more like applications than traditional blogs. Without any industry standards to compare against. I was looking to compare work I was creating with peers from within the community and hopefully learn some tips and advise in the process. I was also in the process of considering starting up as an independent web designer and developer. And who better to learn from than two guys who have been independents and joined forces to build an agency. Our first session saw me and our hosts, Mark and Keith, joined by Matthew, Eugene, Paul, Dan, and Jakub. A good mixture of levels of WordPress experience across the mentees allows not only Mark and Keith to give out advice but those of us with the knowledge to pass it on and reaffirm our understanding. Over the sessions, participant-generated, subjects covered included ACF, hosting, CSS grids, marketing, WordPress hooks, and much more. Both Keith and Mark took time out of their busy schedule to share their knowledge about setting up a business and how they set up custom fields for content entry. Answering and explaining all manner of questions I and others could throw their way. 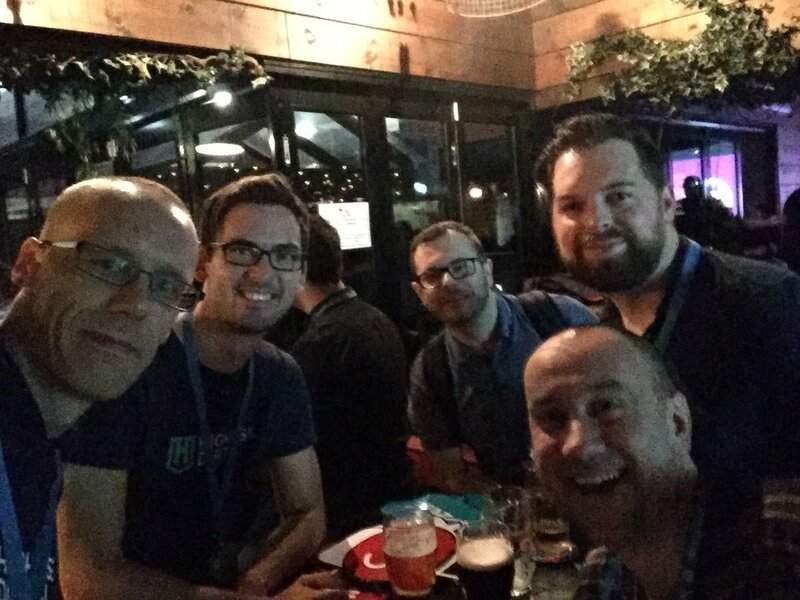 The group’s input also encouraged me to start re-attending my local WordPress meetups in Birmingham. Helping introduce me to organiser Jonny and fellow attendee Kirsty. They also nudged me to attend my first Word camp in Manchester. Where I had the chance to meet fellow members Mark, Keith, Eugene, Matthew, and Jakub in person. The security blanket of knowing others there was a great comfort and I believe an aid to reaching out to other members of the wider WordPress community. As the mentorship came to an end. I walk away with a greater understanding of WordPress. A confidence that the way I’m currently building websites meets current standards. And several new found friends. As Highrise Digital continue their mentorship program with new groups. I’d recommend anyone who is beginning their journey or seeking the reassurance from experts and peers. Apply to join the next incarnation. It will certainly help your progression and hopefully a few new friends in the process. A big personal thanks must go out to Mark and Keith for giving up their time to help others. Thank-you!